Learning to be profitable at trading is a marathon and not a sprint. To take action now and get serious, upgrade to our Market Scanner and Trading Course today. You have less than 24 hours remaining on your trial. As you may know mastering trading is not something one can do in a week or two. To make the committment to yourself to becoming great at trading we would like to offer you this amazing deal that ends when the time above runs out. Do you want a software that picks the best breakouts on stocks for you? The software will scan and look for best breakout patterns on any Stock, Forex, Index or commodity. There are patterns that happen over and over in trading and some are more consistently reliable than others. 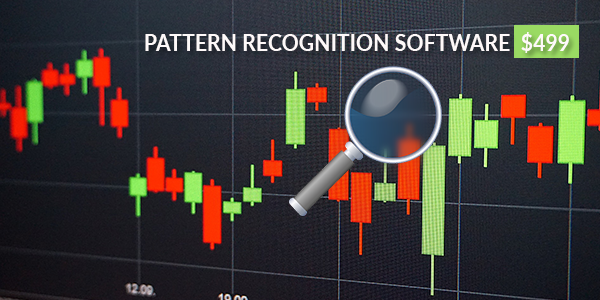 The pattern recognition software will only alert you to the most consistently reliable trading setup patterns. Once you are able to consistently scan for these reliable trading patterns on a regular basis your confidence will be sky high. Because the same patterns happen over and over in trading it only makes sense to have software that scans and highlights the patterns that are known to be consistently reliable which makes trading much easier. Struggling with trading consistency while having to rely on lagging technical indicators only leads to more frustration. Our software will take the guesswork out of trading. Pattern recognition is the future of trading. We know technical indicators lag behind the market—when an indicator is telling you to buy, it may already be too late. With pattern recognition, you will receive alerts at optimum breakouts at the perfect times. I use pattern recognition techniques, and I have been trading and investing for over 18 years. Many traders’ selling indicators and trading courses do not use their own products or even trade on the markets. I believe it is key for me to sell only products and techniques that I personally use. Every week, I upload new videos showing how to use the pattern recognition software and potentially pick out breakout leads on all stocks, forex pairs, indexes such as the S&P 500, Nasdaq, Dow Jones, and finally, commodities such as crude oil, gold, and natural gas. Working one-on-one with someone and providing a full installation of the software is a key part of our business model. Most companies will provide you with a video or maybe some written material on how to setup and use their products. We believe in our products, so we feel it is important to guide you through this process and be there to answer any questions you may have. We stand by our product and are so confident in how great our pattern recognition software is that we will offer you a 14-day money-back guarantee. You can purchase with confidence. We will provide full support and be available to answer your questions in a timely manner. Our software comes with a one-time-only fee, and you will get to use it for life. Think about that for a second. For only $499—the cost of an average size flat-screen TV—you will own our pattern recognition software, which will scan and highlight all the trading opportunities on any stock, forex, index or commodity. I believe it is key for me to sell only products and techniques that I personally use. Get Our Pattern Recognition Software Today! What are you waiting for? Contact us today and let’s get started!